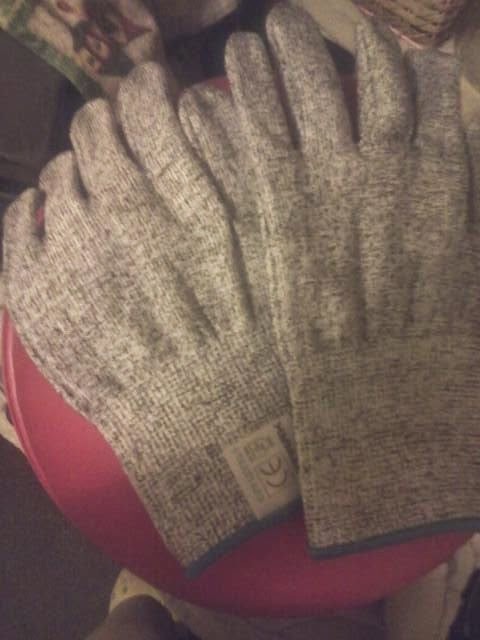 Hunka Hunka Burning Reviews: Stark Safe cut resistant gloves. 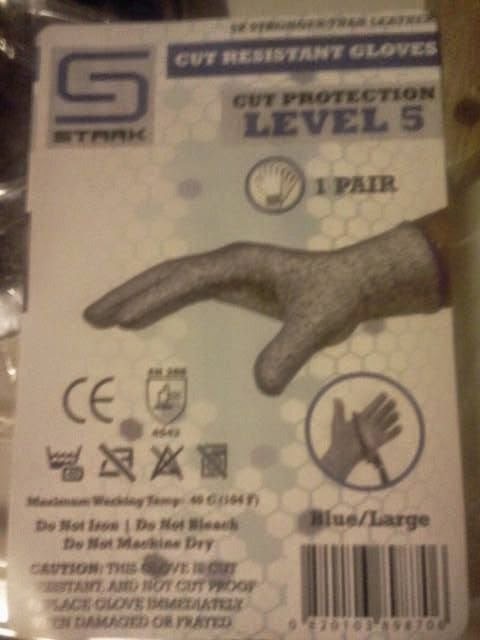 Stark Safe cut resistant gloves. When you are in your groove cooking your mind seems to float away. When it floats too far though, you may end up cutting yourself while chopping up fruits, veggies, and other foods. Once you start to bleed, you really lose your groove and your mind is pulled back where it should be. No one wants to cut themselves, I know I don't. So why not protect your fingers and hands? Stark Safe has the solution for you. Simply put on their cut resistant gloves while you are using a knife. Then go on cutting and chopping like normal. Even if the knife hits your finger or hand, you will not be cut in anyway. Instead of being pulled back into reality, you can continue on with what you are doing. I have a bad habit of cutting myself while using a knife. No matter what I am doing or how I am using a knife, it is inevitable. 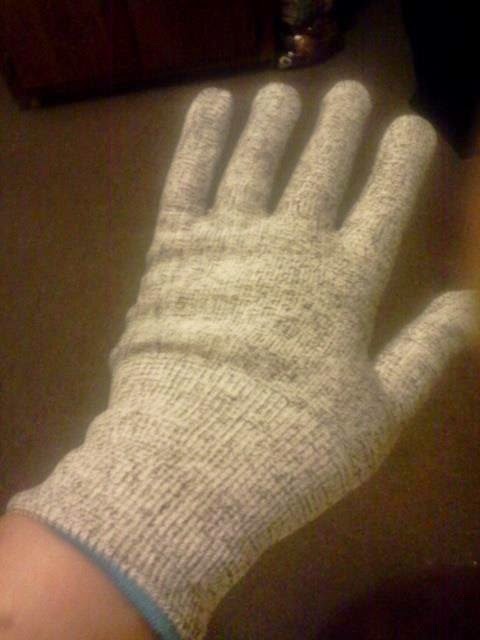 Since I have been using these gloves though, I haven't managed to cut myself at all. They may not look stylish, but they work and that is the important part. These gloves are very well made. Simple look and colors but they don't need to be flashy, they just have to work. They do what they claim to and you can feel safe and protected when you have these on. I love how much better my hands look now! You need to head on over to the product page on Amazon. From there, you can find out more about the product, see what other people are saying about it, and buy a pair of Stark Safe cut resistant gloves for yourself! I received this product for free in exchange for my honest review. Everything I said was honest and truthful.